The Biggest Chains of Hotels in Europe! There are many hospitality brands that have created a degree of omnipresence across the world. These brands instill confidence, boast of luxury and the very thought of staying at one of their properties entice people from all walks of life. While some reputed chains are outright costly and often unaffordable for many, there are major chains which don’t charge much. Also, there are promotional deals, biddable offers and many kinds of discounts that can make your stay at one of the biggest chains of hotels in Europe reasonable, if not cheap. Here are some of the biggest chains of hotels in Europe. 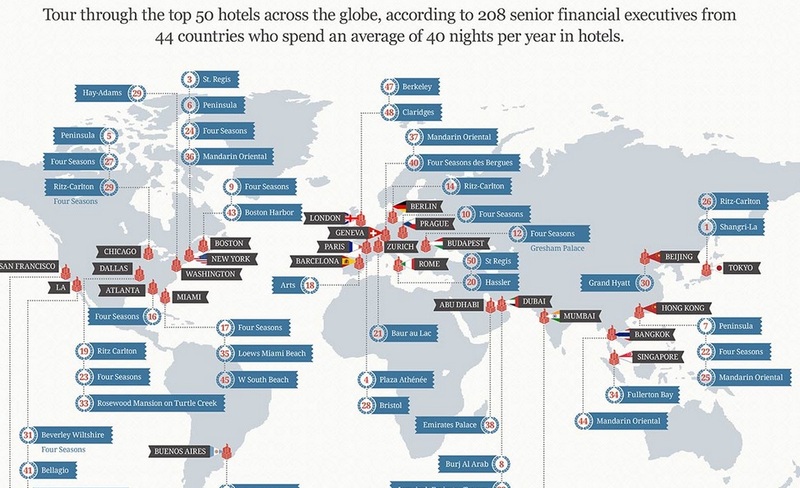 • Accor with its 2,345 hotels is easily the biggest. It has more than two hundred and fifty thousand rooms. It has consistently ranked as the undisputed leader among all chains of hotels in Europe. Accor is not just known for its sheer dominance and presence but also for its services. There are different kinds of properties and not just confined to the major cities but in the remote hotspots as well. • Best Western is the second largest chain of hotels in Europe, with more than thirteen hundred properties and close to a hundred thousand rooms. Best Western has various types of tariffs to offer. There are extremely affordable Best Western properties and then there are the elite ones which can cost a small fortune. • Intercontinental Hotels Group accounts for more than five hundred and fifty hotels offering almost ninety thousand rooms. It has consistently ranked as the third largest chain of hotels in Europe. • Groupe Du Louvre or Louvre Hotels Group (Concorde Hotels) has many more hotels than the Intercontinental Hotels Group, with almost a thousand, but it has fewer rooms in those properties. The group has less than seventy thousand rooms available across Europe. • Carlson Rezidor Hotel Group has around two hundred fifty hotels but it has a staggering fifty one thousand and five hundred rooms to offer. • Next is NH Hotels with three hundred and fifty six hotels and a little more than fifty one thousand rooms. The other popular chains of hotels in Europe are Whitbread Hotels & Restaurants, Melia International, Hilton Worldwide and Tui Hotels & Resorts with six hundred, two hundred, one hundred eighty and one hundred sixty hotels. All these four chains offer more than forty thousand rooms each across Europe.